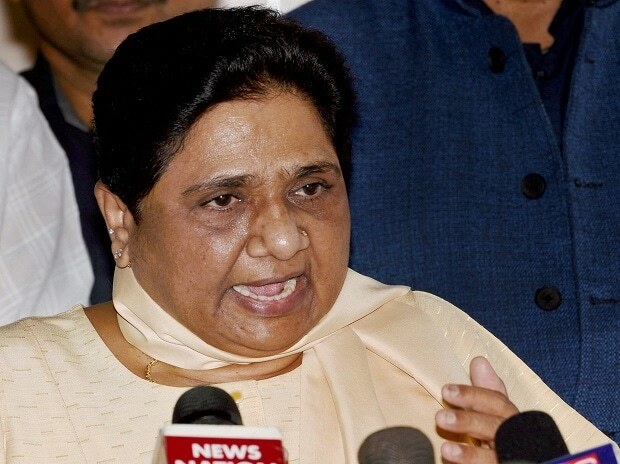 BSP chief Mayawati on Tuesday tried to put BJP president Amit Shah on the dock over his claim that 250 terrorists were killed in the Indian air strikes in Pakistan, asking him why Prime Minister Narendra Modi was "silent" over it. "BJP chief Amit Shah is arduously making claim that IAF strike had killed over 250 terrorists in Pakistan but why his guru PM Modi who is always keen to take credit for everything is silent over it? Terrorists killed is good news, but what is the secret behind deep silence of PM over it?," Mayawati posted on Twitter. At an event in Ahmedabad on Sunday, Shah had said the Indian Air Force (IAF) air strikes on a Jaish-e-Mohammed terror camp in Pakistan's Balakot last Tuesday "killed more than 250 terrorists". Mayawati also hit out at the economic policies of the Bharatiya Janata Party (BJP) government, saying that benefits of economic growth not reaching to most of the poor, labourer, farmers of 130-crore population of country was a "matter of serious concern". "...what will be Modi Govt reply & jumlebazi (rhetoric) over slowdown in farm and manufacturing pushing GDP growth to a low of 6.6%...?" she added.